Please contact us for Avidyne support or sales related issues . Please contact us for Garmin support or sales related issues . Do you wish to have a glass cockpit in your airplane ? Then this could be of interest to you. Please have a look at below links for more information. conditions engine seals for extended life. Please have a look at the below link for more information. Everyone knows the problem of inaccurate fuel indicators for this and many other issues Electronic Instruments has a solution. Take for instance the FP 5 fuel flow indicator which provides you with an accurate fuel flow and remaining fuel in the tanks. Please take a look at below link for this and many other instruments. You have a GPS and Moving Terrain. Moving Terrain is everything else then an ordinary GPS. 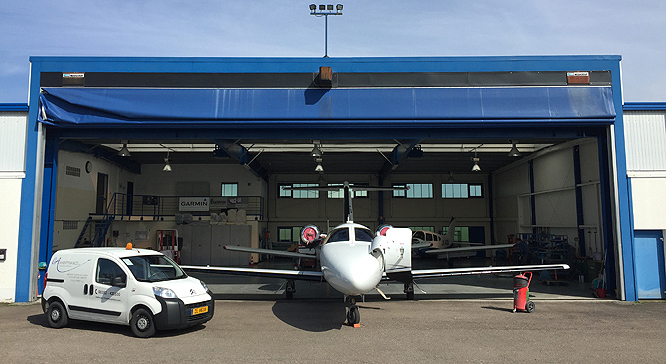 G.A Maintenance is Luxembourgs distributor for the well known American company Aircraft Spruce and Specialty. We keep many popular items in stock and for everything else we have daily shipments leaving Aircraft Spruce. Most items are delivered to your door within 5 working days subject to stock availability. G.A. Maintenance is an official service provider for Teledyne Continental Engines. Micro vortex generators are small metal blades placed in a spanwise line aft of the leading edge of the wing, stabilizer and tail. They control airflow over the upper surface of the wing by creating vortices that energize the boundary layer. This results in improved performance and control authority at low airspeeds and high angles of attack.